If you live in Coogee, New South Wales and can’t find the time to spend a lazy Sunday at the beach or take a dip in the pristine waters of the Tasman Sea, you’re living in the wrong postcode. With a gorgeous beach and delectable eating joints at your disposal, spending your day off from work cleaning the house is the last thing you should be doing. Especially when Coogee’s most trusted household cleaners can do it for you! Simply Maid is made to make your life a little easier by providing residents of Coogee with an undeniably excellent cleaning home service. The satisfactory results of each cleaning job or task we’ve done is testament to our knowledge on all home-related cleaning and years of experience in the cleaning business. If you’ve forgotten what a spick and span home looks like, Simply Maid will not only remind you, but take household cleanliness to the next level. We use top of the line cleaning equipment and eco-friendly products, combined with highly efficient cleaning techniques that guarantee A+ results. For a trusted, topnotch cleaning service, Simply Maid has got your home covered from floor to ceiling. We like to get straight to the point starting right from our booking process. If you have any queries or would like to speak to a Simply Maid representative, you are free to call us; otherwise everything you need to know when booking is given in clear, concise details in our online booking form. Take 60 seconds out of your day to fill in a few necessary details and the booking process will be complete. If you’re hesitant about anything, we assure you that payments are handled by fully encrypted technology, making every transaction completely secure. Moreover, we offer full refunds on cancellations. We believe no cleaning job is complete unless perfection has been achieved; hence, if you are unsatisfied with our work, we will readily come back and redo it for no added cost. Having said that, our highly trained cleaners do an exceptional job at leaving homes spotlessly clean so the likelihood of finding fault is very low. Our services stretch across many major suburbs in Sydney including Bondi, Mosman, Gladesville, Chatswood, Hurstville, Potts Point, Double Bay, Waterloo, Eastern Suburbs, and Northern Beaches. If you’re worried about safety when welcoming a new cleaner into your home, we can assure you that our workers are trustworthy individuals you have passed several tests and interviews to earn a place at Simply Maid. We also do background checks on each of our employees to further ensure that they are respectable individuals of integral character. Insured and bonded, our cleaners will delight you with their cheerful personalities and wondrous cleaning skills. Delivering nothing short of satisfactory results is a habit for Simply Maid and it’s one that Coogee residents have become accustomed to. Our 5-star ratings and firsthand recommendations from loyal customers is just another reason to hire us for your household cleaning needs. Our reputation as Coogee’s number one trusted cleaning service is something we take great pride in. To ensure that we maintain this ranking, we are constantly on our toes aiming to take customer satisfaction to new levels. Part of the Eastern Suburbs region and 8kms away from Sydney CBD, Coogee is a terrific beachside suburb with good people and scenic views. Neighbooured by Carrington Road, Clovelly Road and Rainbow Street, Coogee waters are best known for being safe and delightful to swim in. It’s a common sight to see families enjoying a splash in the water and the locals packing eateries that spread across the bay. The suburb has many bus services running throughout the day, along with taxis that run till the wee hours of the morning. Coogee beach itself has three bus stands, making it a convenient spot for tourists and locals wanting to spend a day at the beach. Every November there is a swim out organised by the Coogee Surf Life Saving Club that attracts hundreds of swimmers competing to finish the 2.4 km long swim first. 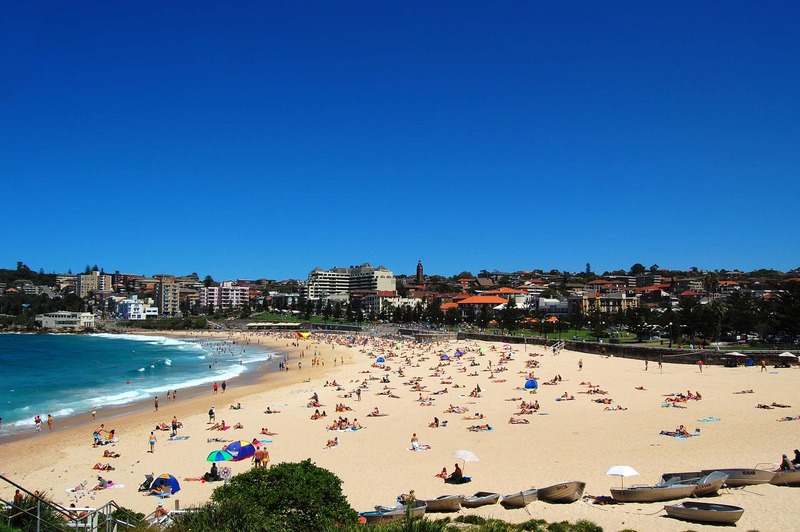 According to a 2011 census, Coogee was home to little over 14,000 residents and is one of Australia’s most populated areas. You’ll find apartment buildings with different architecture styles that date back to the 1930s. Free-standing houses are not very common, though you will still see some scattered about. In terms of convenience, Coogee is a great place to live in with reliable transport services, supermarkets, retail stores, a nearby airport, Centennial Park, good eating joints and close proximity to a gorgeous white sand beach and amazing swimming conditions. Coogee is surrounded by other suburbs including Marouba, Randwick, Charing Cross, Clovelly and South Coogee. Caroline has been very understanding and friendly when organising two awesome cleaners to help clean up my apartment. I have used other cleaning services before, but after using Simply Maid, I don't think I'll have to look around anymore. Wonderful service provided, would highly recommend if you are located in Coogee.